Just typing those words into the title of this entry made my heart skip a beat. 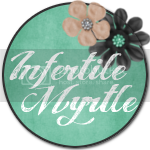 I type the word infertility numerous times a day while doing things for this blog, and it has almost become an abstract term to me. I better get used to that word, because it is about to become very REAL again. Mike and I decided yesterday at the Dr's recommendation to move forward with infertility treatments to try to conceive number two. After much thought and a long conversation, we decided to go ahead jump in feet first. 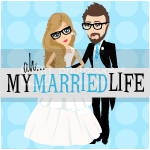 This was a huge decision for us, and it was made for both emotional and financial reasons. I am not sure if I have mentioned it here before, but last go round infertility really took a toll on our marriage. It was harder than we ever expected. Mike was dedicated to all of it, but he would have liked to step back and maybe take things a little slower. I however wanted a baby ASAP. I guess you can say I was a little obsessed eager. When London was about 7 months old, we sought some marriage counseling to figure it all out. It was probably the best decision we ever made. We were never on the brink of divorce or anything, but we were definitely on different pages when it came to whether or not we would seek more infertility treatments for subsequent children. We just made this decision on Friday, and our first cycle starts NEXT WEEK!!! I can hardly believe it. I am excited and terrified all at the same time. Here is to hoping that this road is A LOT shorter and easier than last time. I will update about this again middle of next week after I meet with the Dr and figure out the specifics. I think it is awesome that you are sharing this. I am praying that you get a quick bfp!!! WAHOOOO! You guys make such cute babies, it would just be a shame not to have more! Love you guys, sending you lots of baby dust! I'll be keeping my fingers crossed for you both!! Good luck! Can't wait till London becomes a big brother! Oh I just found your blog and I had my own struggle with secondary infertility (due to PCOS) and I remember that huge decisions to start doing meds. Wow it's scary, exciting... everything! I'll be checking in on you! Prayers your way!! Good luck, I'll be thinking of you both!